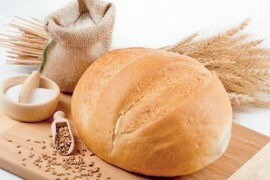 Are ideal for the production of high-quality bread and flour products. They ensure the obtainment of tender and light crumb. They also reduce crumbling while cutting. They contribute to a considerable volume increase, reduction of staling and prolongation of bread shelf life. Multipurpose leavening agent for all types of products. - ensures high stability of products at elevated temperatures and during long-term storage. - increases the bread volume. - contributes to faster proofing of the dough. Jelly-like emulsion for the preparation of sponge cakes and soft muffins. It reduces the time of preparation of muffins and sponge cakes (15 min). A mix for the production of bread which is highly valued and consumed in the form of breakfast toasts.